Tim Paine has dismissed the notion that Australia would have been in a better position to beat India had they begun their series at the Gabba - a venue they haven't lost at in more than 30 years - rather than in Adelaide. His comments came after Australia smashed Sri Lanka by an innings and 40 runs in the first of two Tests, with the home side requiring just a little over 100 overs to bowl the tourists out twice inside three days on the bouncy Brisbane wicket. The emphatic victory put Australia back on course for their next Test series against England, after earlier this month slumping to their maiden home series loss to India. Australia lost 2-1 to India, but the series defeat would have been more resounding has weather not intervened on the final three days of the fourth Test in Sydney. There has, however, been a theory though that Australia would have exposed some weaknesses of the Indian lineup had they started the series on their most successful wicket rather than the slower Adelaide Oval deck, where India won by 31 runs and gained the seized the momentum. But Paine said India's bowlers would have proved a challenging prospect on the Gabba wicket and made the frank admission that Australia just needed to become more adaptable. "Who knows (if we would have been successful against India at the Gabba), we would have had to face the Indian attack on that wicket as well, which wouldn't have been easy," Paine said. "It's important that we start to play more consistently regardless of the surface that we play on. "We can't wait to come to the Gabba and know that Australian sides play well there and win a lot of Test matches here. We need to be able to do it on any surface, any venue and that's something that we're building towards. "If our bowlers had of executed in the last series like they did in this Test, I think we would have a fair bit more success as well." The stunning win means Australia needs only a draw in Canberra to claim their first series win in any format in more than a year. 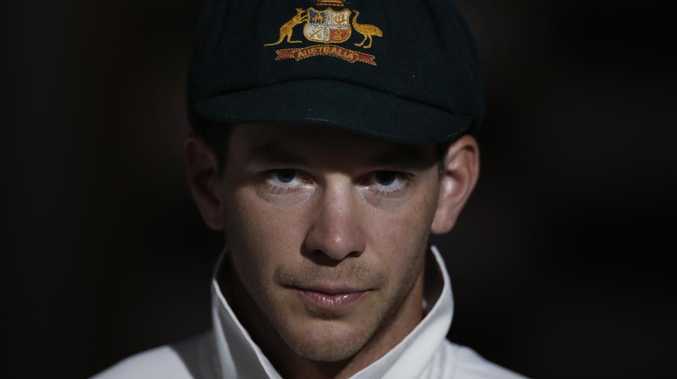 Paine, who took over the captaincy of Australia following the ball tampering scandal which saw Steve Smith banned for a year, said the result would be a major boost for their confidence in a year which includes the World Cup and Ashes. But the Australian captain said the Manuka pitch would likely suit the Sri Lankans more than in Brisbane and added that the home side couldn't rest on their laurels. "It's great, any Test team that you can beat in three days is a huge effort," Paine said. "It's not easy to do to take 20 wickets and score enough runs and have a Test match done in three days. For a young group, it's really pleasing. "No doubt it will do the confidence the world of good, but we're not anywhere near the finished product, we're a long way away from where we want to be. "Also, you've got to take into account that for Sri Lanka to come to the Gabba first up is really, really tough. It's completely out of their comfort zone. It's hard for Australians to come from the southern states to play on that wicket with the extra bounce, so we expect Canberra will probably suit them a little bit better and we're going to have to be right at the top of our game again to beat them in Canberra." Meanwhile, Paine backed his strike bowler Mitchell Starc to return to form after another tough Test outing. As Patrick Cummins and debutant Jhye Richardson tore through the Sri Lankan lineup, Starc struggled for consistency right the way through the Test and went wicketless in the second innings. Although admitting Starc, who took his 200th wicket on day one, wasn't at his best, Paine said one strong spell was all that he needed to find his mojo again. "He's going OK," said Paine of Starc. "He's working really hard. I've seen him doing actually quite a bit extra than what I have in the past, so clearly he knows he's not at his best. "He's working hard to get that (form) and Test cricket's hard and Starcy's been really good for a long period of time, but I think anyone at any level of cricket goes through some times when it doesn't go your way and it's a bit harder than what it has been and he's probably going through that at the moment, but we're there to help him out. "I thought the other three bowled superbly which allowed us to use Starcy slightly differently, in shorter bursts. "Mitchell Starc's the type of bowler he's one wicket, one spell away from being devastating again. We're hopeful that that's really close."